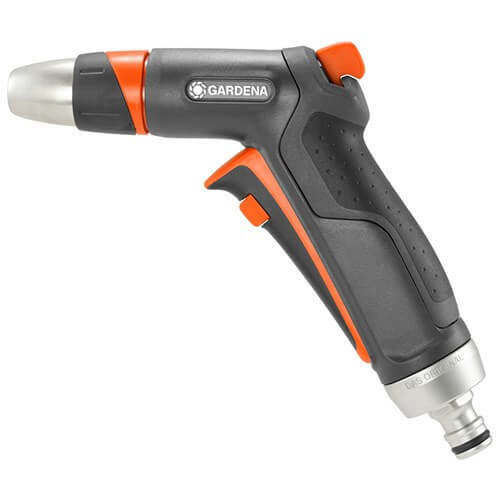 Here at eSpares we love Gardena products! 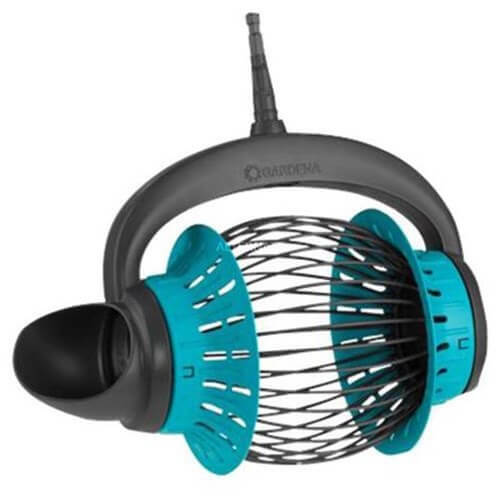 From super smart gadgets to easy to use tools, the Gardena collection really does make gardening chores a whole lot easier. 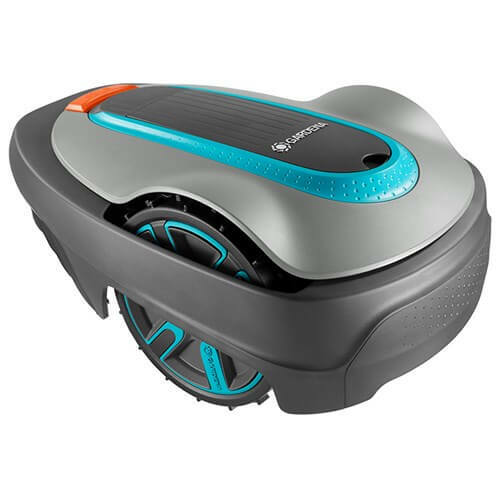 With this clever Robotic Lawnmower you can mow your lawn without moving from the sunbed! The built-in programme assistant that can be set up to work at specific times and returns back to the charging station when the jobs done! So no more arguments over who’s going to do the dreaded chore! 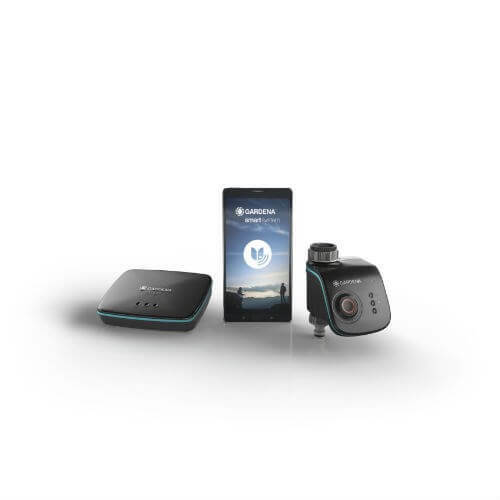 This Smart Water Control System monitors and controls the water supply in your garden to make sure it’s being watered when it should be. 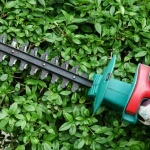 Link it up with a sprinkler system and you’ll never need to water your garden by hand again! It even connects to the Gardena app and can be controlled from your phone. Clean your garden whilst pulling your favourite 007 pose with this Premium Cleaning Nozzle Gun. With a hard jet for stubborn stains and a fine mist setting for watering delicate plants, the cleaning gun is perfect for any watering task. Its frost protection system will even ensure it still works even when temperatures drop. If you’re an avid fruit grower, this Combisystem Fruit Collector will make life a great deal easier. There’s no need to bend down and pick up fallen fruit because this handy tool does all the hard work for you! It can pick up anything between 4cm and 9cm in size and can even be used to collect golf balls, nuts and conkers! 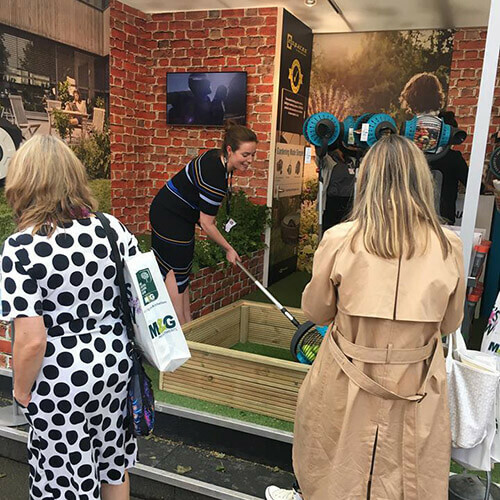 No one likes the job of de-weeding the garden, but with this handy Combisystem Patio Weeder you no longer need to dread it! 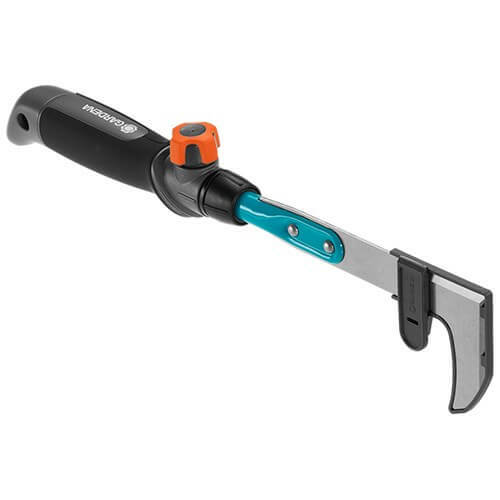 The angled handle prevents slipping and the double-sided blade is perfect for removing stubborn weeds. You can add an additional handle to save your back from aches and pains. 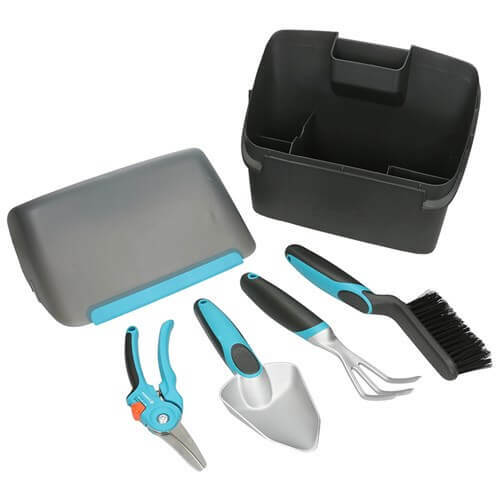 Containing everything you need for your small garden or terrace, the Gardena Balcony Box includes a trowel, a grubber, a hand brush, secateurs and the lid even turns into a dustpan! Keep them tidy and clean with the box which can be wall mounted for easy access and to save space. Gardena had a great few days at the Chelsea Flower Show! 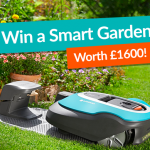 Customers were particularly interested in the clever robotic lawnmower and easy to use fruit collector which was on show for them to try out! What a glorious day at the Chelsea Flower Show! The gardens were incredible and the stands were buzzing. It was a pleasure to join the Gardena team on their stand. Visitors were so impressed with the star of the show, the fruit collector, which I demonstrated for a grueling few hours! Roll on next year! 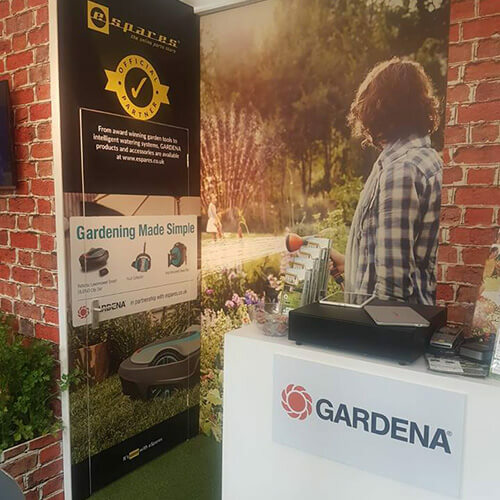 We’re very proud to be the preferred UK supplier for Gardena products! If you wanted to take a look at the range, head over to our Gardena shop and get your garden in top shape for summer!